Warm, friendly welcomes; stunning views of Loch Creran, the hills of Mull beyond and hearty pub fayre meet harmoniously at the Creagan Inn, Appin. The MacCorquodale family are very proud of their wee corner of the West Highlands and delight in welcoming guests from all over the globe to the “little rocks”. 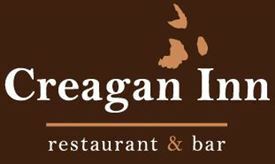 The Creagan Inn’s menu features many classic pub dishes with a contemporary influence, with prices to suit all budgets. There is fresh Scottish seafood, highland beef provided by our local master butcher and the finest hill lamb from the family run Achnaba Farm; not to mention innovative vegetarian dishes and delicious puddings, all made fresh from our own kitchen and bakery. We delight in being child friendly and offer a fun selection of children’s meals that will suit even the fussiest of eaters and have them licking their lips in anticipation. Creagan Inn has long been one of the most iconic hostelries in North Argyll and you’ll find our bar well stocked with a great selection of malt whiskies, Scottish craft beers and ciders. Sitting ¼ of a mile North of Creagan Bridge on the A828 and National Cycle Route 78, Creagan Inn is an ideal stopping off point for those on a ‘Highland Fling’. Those with their sea legs won’t be disappointed either with two moorings and anchorage (check maritime charts) available only a short hop from the shore, making Creagan Inn one of the most accessible pubs on the Argyllshire coastline. There are no jobs with Creagan Inn at the moment. Sign up to email alerts below to get notified when new jobs are added. Get the latest jobs from Creagan Inn sent direct to your inbox!